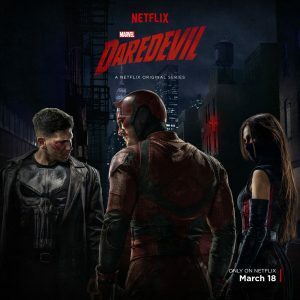 I loved Daredevil season one. It is a much darker and more violent show than I normally watch. However, the villains’ stories are so compelling I couldn’t stop. So I was excited to watch season 2, and unfortunately disappointed. I didn’t like season two nearly as much, and, honestly, I found the constant preaching of how every life is precious and worth saving sanctimonious and naïve. I was Team Punisher the whole time. I am looking forward to his show. I’ll probably check out season 3, because the Kingpin should be back, but I’m not nearly as excited about it. How did you like Daredevil Season 2? I’m halfway through. Definitely not as good as season one. It really feels to me like they didn’t actually know what the story was going to be when they started filming, and are making it up as they go. A distinct lack of clarity and arc, here, which I think is why they are repeating themselves so much. Yes, exactly! Didn’t they know they were getting a second season? I will try the third season, just because it’s Marvel.